Whether you’re traveling for the holidays or you’re planning a getaway during the warmest months of the year, your vacation should be a time for you to relax and unwind. The trouble is, with potential thieves and burglars lurking about, you’ll likely spend a good chunk of your vacation worrying about the security of your home and the safety of your belongings. The good news is that you can travel half way around the world and still enjoy peace of mind! You just have to make sure that you follow these home security tips. There are definitely a lot of common sense approaches to home security that can help ensure that your home is protected while you’re away, but nothing compares to a professional home security system. 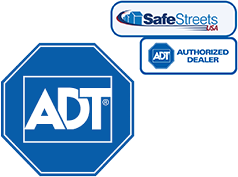 Home security systems offer many different products and services that can be customized to keep your home safe. From sensors that can be placed near doors, windows, and garage doors, to cameras with live video streaming and live monitoring services, if someone does break into your home while you’re away, you can rest assured that the situation will be dealt with quickly. The best part is, there are quite a few quality home security systems to choose from, so you’re sure to find one that fits your budget. Because so many of them offer DIY installation, you can also hook up your system with just days to go before you leave for vacation. Although worrying about burglars and thieves while away from home is fairly common, nothing compares to the nagging feeling that you’ve left your door unlocked or forgotten to turn the thermostat down. Not only might you be putting your belongings at risk of a burglary, but you could end up spending more on your heating and cooling bills, even though no one is at home to enjoy the comfortable indoor atmosphere! A home automation system can be paired with many home alarm systems, but there are products available that don’t require a security system. They allow you to lock and unlock your doors from any location, as well as adjust the thermostat. Home automation systems can also be programmed to turn the lights on and off in your home, making it look like someone is there when in reality, the entire family is enjoying their vacation. Want to learn more about how a home automation system can bring you peace of mind? Click here! This next tip isn’t likely one you’ve spent a lot of time thinking about, especially if you’re busy getting everyone’s luggage packed! If you monitor your home security system with mobile devices, it is absolutely imperative that you secure your smartphone, tablet, and laptop. Thieves are smart, and some have figured out how to hack into home security systems to make breaking in much easier. Make sure all of your home security system programs are password protected. You should also make sure that you have installed security software that prevents viruses and malware on your electronic devices. Another handy piece of advice is to install a finding app on your devices, like this one. Not only will it help you find your phone or tablet if it gets lost, but your entire device can be wiped clean if you suspect that it has been stolen. Maybe you’ve heard this one before, but it’s definitely a tip you should take to heart. No matter how excited you are to share your once-in-a-lifetime trip with friends and family, don’t even think about entering a status update or posting pictures online until your family is safe and sound back at home. Most burglars are people you know, even if it ends up being someone you don’t know that well. These people have the ability to check in on your Facebook account to see what you’re up to, and if it’s obvious you aren’t at home, they may plan to stop by your home while you’re gone. Want to learn more about how you can secure your home while you’re on vacation? Check out this video from Consumer Reports that outlines how to make sure your door can’t be kicked down. With just a little foresight, and armed with these tips, you can make sure that you return to the same comfortable, safe, clean home that you left days or even weeks ago.